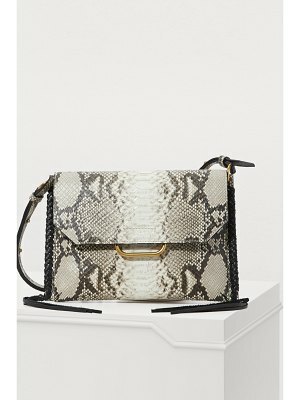 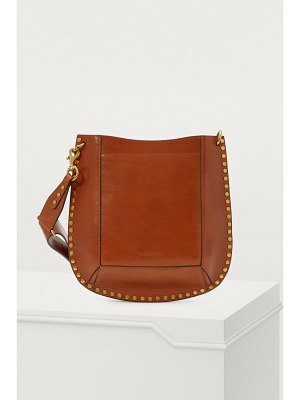 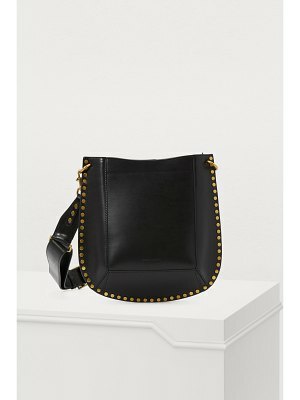 Designed for modern and active women, Isabel Marant's creations combine bohemian style with practicality, just like this Wardy New shoulder bag. 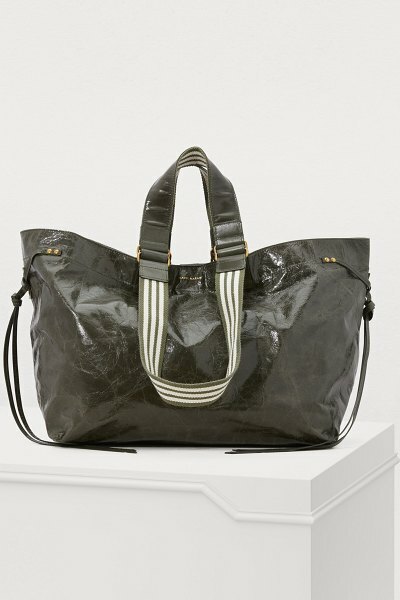 This model stands out with its shiny crackled calfskin, a sophisticated material that is emblematic of the overall collection. 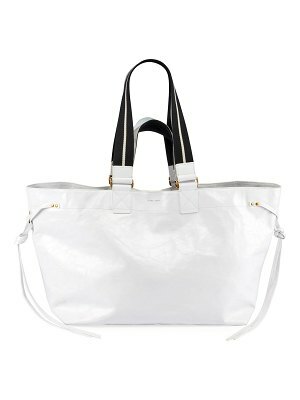 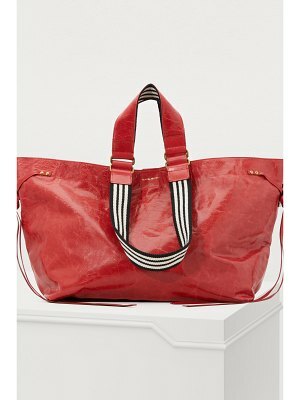 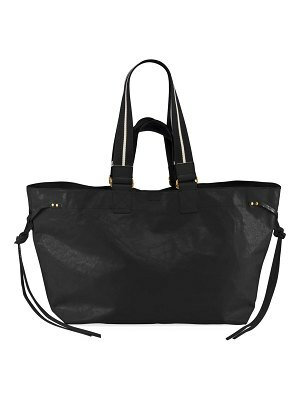 This oversized tote features two pairs of handles, a tone-on-tone one and another in cotton with contrasting stripes. 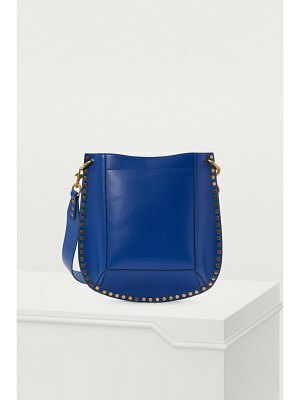 Its bold hue will brighten up the most classic of outfits.